Starting in 2017, VINCI School Ottawa will also offer its STEM focused Elementary program. 1. Sensory Regulation: Through a consistent sensory program drawn from Montessori and Reggio Emilia, VINCI Junior Toddlers spend days playing, experimenting, and becoming accustomed to a world full of sensory information. Sensory Processing Disorder (SPD) is one of the most common developmental issues among young children. The child who has SPD may exhibit shyness, extraordinary sensitivity to street noise, avoidance to touch or taste textured materials or food, vision impairment, spatial orientation problems etc., resulting in difficulty interacting with people or the physical world. 2. Motor Skills: Young toddlers start to gain significant independence during this period, from movement to nutrition. The motor skills, both at big muscle level and at finger level, require consistent practices in order to coordinate. A child with poor coordination may exhibit clumsiness going into the school age, discounting his/her physical ability to support the learning and the integration into society. 3. Expressive & Receptive Language: From babbling to wording, young toddlers absorb like a sponge all the cues associated with expression and comprehension. VINCI School’s daily language program elevates each young toddler’s language ability through singing, dancing, leveled books, play and games, and guided daily conversation. 4. Cause-Effect and Reasoning: As a school with major emphasis on STEM, we understand the importance of logic reasoning during early years. Every day, our young toddler students are challenged with exploring Math and Science related work, such as water play (sink or float), gravity exploration, animal games, sorting and categorizing, and quantity sense. Senior Toddlers have developed to the stage where they become self-aware. Their brain growth also peaks around the age 2, such that they have lots of ideas but little options to express, or to realize what they want to accomplish. It is also the time for them to test the boundaries and show their power by saying “No!” to everything. As a result, VINCI Senior Toddler program emphasizes focus and expression while guiding children to gain sense of respect and consideration. 1. Practical Life: Originated from Montessori curriculum, the numerous fun practices help students to stay calm and focused while exercising their fine motor skills. 2. Language and Expression: Through activities such as book reading, language games, weekly show-n-tell, arts and crafts, students learn to tell their feelings and ideas while making progress in Literacy. 3. Math and Logic Reasoning: Montessori Math works are introduced during this level. Through matching, sorting, counting, geometric shape manipulation, and block building, students learn to feel comfortable with numbers, sequences and identification of cause-effect. 4. 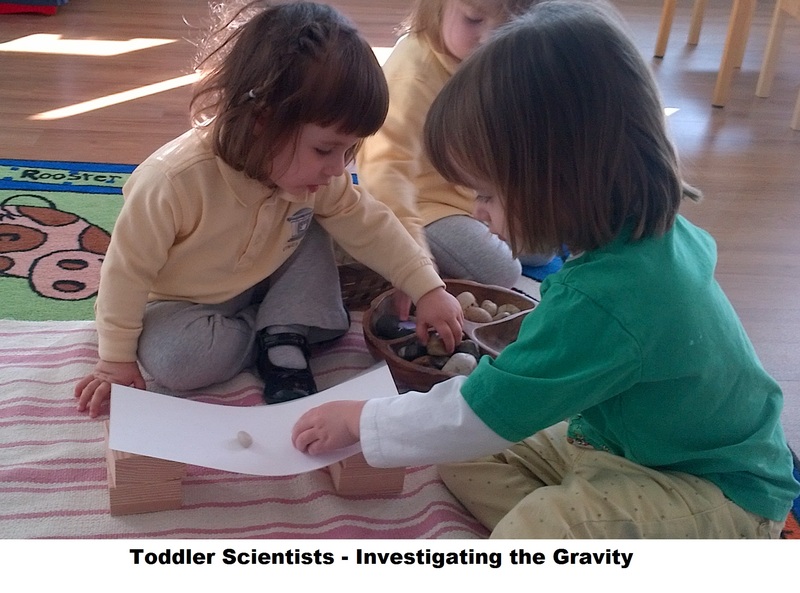 Scientific Inquiry: Children are born scientists. VINCI School art-infused science program starts at Senior Toddler level. Children learn natural and visible scientific concepts such as days and nights, plants and animals, food and nutrition, and simple Physical Science concepts such as gravity and temperature. 5. Social Emotional Learning: Working along side other children, under the guidance of teachers, Senior Toddlers learn to express their appreciation to others, and to solve conflicts. Every day, the Homeroom Teacher guides a circle time according to our monthly planning of the virtue, where students learn to reflect and to plan for improvement. 6. Motor Skills: At this age, Senior Toddlers become in control of their body. They start to run, jump and play ball games. As such, their classroom is large and equipped with exercise materials. It is a critical time to build healthy physical exercise habits.